Dee the Modern & Academic Magic? I am often asked if simply consecrating astrological talismans at an elected time is sufficient. After all, it is a big hassle to actually make them at an elected time! Wouldn't it be easier to just to forget all that? Well, it would be easier, but it wouldn't be authentic or anywhere near as powerful! 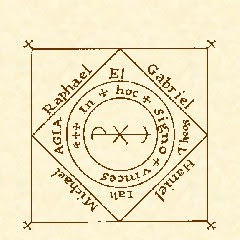 "If now the Time be exactly observed, the Sigil must be stamped in a Minute, because this Impression occasions the Power of the Heavenly Influences; for the Heavenly Influences of the Stars are as quick and nimble, as an Arrow out of a Bow, or a Bullet out of a Gun, so quick must this Impression be." "Now the manner of making these kinds of Rings, is this, viz. when any Star ascends fortunately, with the fortunate aspect, or conjunction of the Moon, we must take a stone, and Hearb that is under that Star, and make a Ring of the Metall that is sutable to this Star, and in it fasten the stone, putting the Hearb, or root under it; not omitting the inscriptions of images, names, and Characters, as also the proper suffumigations"
Three Books of Occult Philosophy, Bk I, ch 47. Note, however, that Agrippa has the mage assembling the ring at the proper time, but "not omitting the inscriptions"! Now there are some possibilities for working with more than one elected time. Some talismans need to be made under multiple elections anyway. "Whenever you wish to make an image and you wish to be in charge of a city or province or court or prefecture or be an overseer, everyone of these works is done in one way. 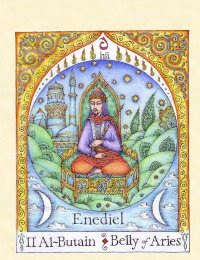 Make fortunate the time when you begin to cast the image, and engrave the head of the image when the Caput Draconis (North Node of the Moon) is in the Ascendant, and the lord of the Ascendant is [dignified] and free from evil. And engrave the body of the image when the Moon is in the Ascendant, and the Moon is increasing in light and is joined to fortunate planets. And engrave the legs and chest when Jupiter is in the Ascendant and engrave the belly when Venus is in the Ascendant, and engrave [the hips?] when the Sun is in the Ascendant in some of his dignities. And engrave the thighs when Mercury is in the Ascendant and free from evil, in some of his dignities and fortunate. And engrave the feet when the Moon is in the Ascendant and joined with Venus." Now another way to take advantage of multiple elections for a planetary talisman is to do the engraving in the hour of the planet. Simon Forman, the 17th century astrological magician, describes how a jeweler engraved a Jupiter talisman for him in just this fashion, working only in the hours of Jupiter. Notorious Astrological Physician of London Traister at 100-1. I am quick enough with the diamond typped stylus to be able to finish the proper designs within the time frame given. I cannot always finish the consecration ritual within the time frame, but I do start at the proper time and do as much as I can. The best way to start is with paper talismans which you can color in and add the proper sigils, characters and tables easily enough at the elected time. While I know it is un-American and totally against the modern ethos for anything not to be easy, quick and simple, the truth is that there is no substitute for a proper election and making talismans by having them colored, inscribed, stamped, engraved or otherwise taking on their form at the elected time. 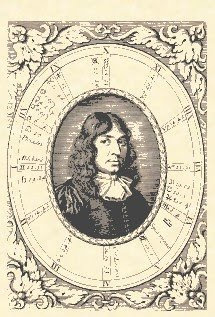 On pages 121-3 of Christian Astrology, the most illustrious practitioner of our art, William Lilly, sets forth a list of what he calls "Considerations before Judgment" These are a list of factors, mostly negative, that he states affect the astrologer's ability to read a horary chart. The considerations, aka the "strictures" are a great bugbear of modern horary practice. My experience and the experience of my horary teacher, Lee Lehman, is that the considerations are mostly negative, but very useful information. Most importantly they do not stop you from judging a chart, in most cases and charts with considerations present will give accurate results. I refer those interested to Warnock's Horary Case Book, e.g., pages 14 and 24 which are examples of 29 degrees, i.e., late degrees rising, which still gave perfectly accurate readings. One consideration that I do apply, however, is 0 degrees rising. I do apply this rule exactly however, judging charts with 1, 2 & 3 degrees rising, eg pages 26 & 38 of Warnock's Horary Case Book. It is only charts that actually have 0 degrees rising that I don't judge. However, 0 degrees rising still gives us very useful information, even if we don't judge the chart itself. For my practice only, and I am not attempting to promulgate this always true for all astrologers, 0 degrees rising indicates two possibilities. (1) The situation has not jelled sufficiently to judge it, we are still in the early stages of the question. I somewhat flippantly call this the "Magic 8 ball says 'ask again later!'" The solution is to wait, at least a few hours and ask again. My recommendation to clients is to ask again based on their emotional state. "Ask the question" I say, "when you are just dying to know the answer"
(2) The querent has not asked the root question. This is the most interesting indication presented by 0 degrees rising. What do I mean by root question? Well, I had a very interesting example of this in the past week. A querent asked, "Should I get treatment A locally?" We got 0 degrees rising. I explained about 0 degrees indicating that the querent has not asked the root question and specifically asked the querent, "have you considered whether you should get the treatment at all?" They were amazed because they had strongly considered asking this, but decided to ask about the location of treatment instead. Another example of 0 degrees = not root question involved moving. A querent asked, "Should I move to Los Angeles?" chart was 0 degrees rising. "Is this the root question?" I asked, "Oh, should we even move from Denver?" Chart of this question said no, stay in Denver. These examples are extremely interesting because we are basically engaged in this ongoing dialogue with the chart, really with the situation itself. The chart is talking to us! It is easy as an astrologer to get caught up with the more "scientific" aspects of astrology, the charts produced by computer, the complex technique and forget that we are engaged in divination. As astrologers we are not simply executing algorithms, we are peering into the deep underlying patterns of reality itself. That these patterns can actually act like personalities and can be interacted with is somewhat surprising, but my experience shows just that! Now, I had been kicking myself that I didn't make a few Jupiter talismans in 2007 exactly like Barrett's design, because what happens when people call about them is that they ask if I have that EXACT design. I explain I don't and that Jupiter talismans made in 2008 were likely to backfire because Jupiter was in fall throughout 2008. I do however, have some very powerful Jupiter talismans, albeit with a different design from Picatrix Jupiter in Sagittarius Talisman and we will have the "Joseph Smith Jupiter Talismans" available at the end of February 2009. Still my explanations fall flat almost 100% of the time! 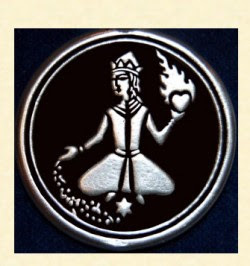 With the people that ask about the "Joseph Smith Jupiter Talisman" if they can't get the EXACT "Joseph Smith" design (being completely unaware of its true provenance) they decide either to buy a mass produced factory stamped pewter talisman or go without a Jupiter talisman at all, in essence the same, depriving themselves of the actual power of Jupiter talisman in either case. This is not unusual. Many customers have a pre-set fixed idea that they want a particular design or a particular material and if this is not available, their rigidity means they simply deprive themselves of the magical benefit they are seeking altogether. The problem is an over emphasis on the materials and design with which a talisman is made. Let me say at the outset that I certainly do not think that all materials and all designs are suitable for all talismans, however, a much wider range of materials and designs can be effective and the importance of material and design has been far over emphasized as opposed to electional timing and ritual consecration. The "Joseph Smith" Jupiter talisman is a good example. Barrett got his designs from Agrippa, but made his own changes. These designs are predominately based on planetary tables. We have used both the traditional planetary intelligences sigils and newer versions based more carefully on the planetary tables and both sets seemed to work. We have used planetary images from Picatrix and these work well. So while not all designs can be used for all planets, fixed stars, Mansions, etc., a fairly wide range of designs is effective. Similarly with materials, I have used gold, silver, copper, gemstones and paper for talismans. I know people that have used wood, Sculpy and various ceramic materials. All seem effective, though gemstones and precious metals last longer, as Ficino notes in Three Books on Life Bk III, ch. 13. Now even if we use metals for the planets we have lots of variation. One, fairly standard list is lead for Saturn, tin for Jupiter, iron for Mars, gold for the Sun, copper for Venus, confusion for Mercury and silver for the Moon. I say confusion for Mercury because there is widespread confusion about what to do for Mercury talismans. Now Agrippa in Three Books of Occult Philosophy Bk II, ch. 22 says lead for Saturn, silver for Jupiter, with specialized Jupiter uses for red coral, Mars has iron and for specialized uses, cornelian and red brass, Sun, gold, Venus has silver again and for specialized uses, brass, Mercury has silver, tin, yellow brass, virgin parchment and Moon, silver. So lots and lots of variation in the assigned metals! This points up another perennial favorite, the "let's make talismans from toxic mercury" problem. Despite the wide variation in traditional sources, the modern standard list of planetary metals is on the short list of easy astrological info for everyone who "may not know much, but I sure do know X!" along with Mercury retrograde and the void of course Moon being apocalyptic. The Mercury = metallic mercury is especially tenacious, my theory being that the fact that the word Mercury for the planet is the same as the word mercury for the metal. Two major practical problems with using mercury for talismans. First, it is liquid at room temperature and therefore useless for casting or inscribing an image on. Secondly, it is toxic, particularly for the maker of the talisman. Yet I get endless "helpful" suggestions about using mercury oxide (even more poisonous!) or sealing mercury, or mercury alloys, etc., etc. Because lord knows, you gotta make your Mercury talisman out of mercury, by gosh! As we can see from our traditional sources, there are plenty of other materials to use for Mercury talismans. Let's go even further with this. Ficino says after listing off various metals and gems, that "metals, apart from gold and silver, have scarcely any power for images." Three Books on Life Bk III, ch 16. Following this currently we make most of our talismans in silver, though we do add in some of the metal of the planet, ie tin for Jupiter, iron for Mars, copper for Venus, gold for the Sun. In De Imaginibus, Thabit Ibn Qurra, talking of making a scorpion image, says, "make the image of iron or tin or lead or silver or gold." Chapter 1. Later, when speaking of a wealth talisman he says to make the image of gold or silver or [iron?] or whatever is agreeable." Chapter 3. Whatever is agreeable! 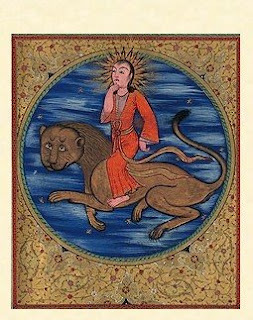 What Thabit isn't flexible about, however, is the necessity of the proper election for the creation of astrological talismans. This, it seems to me is the crux of the matter. If we are coming out of the modern, materialistic atheistic world view our focus has to be on matter, which in the case of talismans is the materials and design. This is what we see, this is what seems important and this is what we know. Thus the material and design become all important. I get a slightly different focus from ceremonial magicians. They know ritual and see it as paramount. "What difference does it make if Jupiter is in Capricorn?" The focus of our traditional sources, however, is clear! When speaking of talismans they are flexible on materials and design providing a range of alternatives, but they are strict on electional timing. My view is that timing and ritual are the key components, where as materials and design play a lesser, though still important role. Ultimately, I would seek to combine timing, materials and ritual to maximize the effectiveness of the talisman. Knowing when to flexible and when to be strict takes time, study and experience! 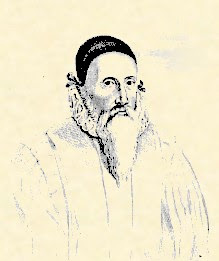 I just finished reading a short article by Richard Dunn, "John Dee and Astrology in Elizabethan England" which appears in John Dee: Interdisciplinary Studies in English Renaissance Thought (Springer 2006). Dunn discusses Dee's "new" astrology as propounded in his Propaedeumata Aphoristica (1558, 1568), the Monas Hieroglyphica (1564), and The Mathematicall Praeface (1570) and the actuality of his practice, which used standard traditional methods. What I found somewhat amusing about it was that "modern" attitudes can be found even in the 16th & 17th centuries. 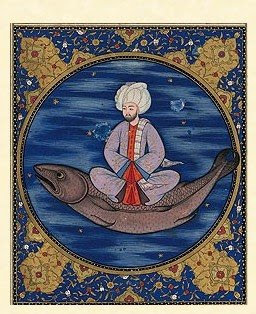 In his Propaedeumata Aphoristica (1558, 1568) Dee provides a variation on Al-Kindi's rays as a mechanism for astrology and elaborates his own, new system of astrology based on this more mechanistic explanation. We can already see the pull of what the 18th century would term the "mechanistic philosophy" and Dee's own desire to invent his own system based upon it. All very modern! Yet as Dunn notes when looking at Dee's actual astrological predictions, Dee's real astrological work was resolutely traditional. When Dee really needed to predict he used traditional methodology! His fancy, idiosyncratic new system just couldn't do the job. This leads me to also make some comments on academic writing and secondary sources in general. We can start out by saying that taken in their best light that academic writing seeks to learn about things "objectively". This is to say, again in the best light, that one stands outside the subject and does not become personally involved with it. This perspective is held by academics to be the best methodology for learning about a subject. I would respond that "objectivity" in the sense of standing outside a subject, is simply one useful method for learning about it. Subjectivity, in the sense of entering into and actively engaging in a subject is also a useful method to learn about it. To my mind, one really needs to combine both standing apart and entering into subjects, if one wishes to learn about them. Each approach has its advantages and disadvantages and the fullest knowledge arises both using both. This is, however, being much too charitable with regard to how academic writing and research is carried on with regard to astrology and magic. In academia in general "objectivity" is fetishized into the only possible methodology, those that actual participate are "subjective" ie bad, and have "gone native" very, very bad. These attitudes reach a peak with the academic study of astrology and magic. Much energy and ink has gone into studying how it is that otherwise "rational" ie conforming to atheistic/materialist thinking, people could actually take magic and astrology seriously. Academics studying astrology and magic are therefore in the odd position of paying a great deal of attention to something that they must officially disparage as irrational and impossible. The fact that individual academics may, in their private lives, hold different opinions, is irrelevant because they will not be permitted, as academics, to publish or teach that astrology or magic exist. John Gager, in Curse Tablets and Binding Spells, says of the question, "did magic work?" "Until recently, the very idea of asking a question would have seemed absurd. Of course the stuff doesn't work! Indeed, from the time of Sir James Frazier to the present the ruling assumption has been that spells, charms and amulets cannot work - by definition." Curse Tablets and Binding Spells, at 23. Gager then attempts to construct an alternative explanation for the effectiveness of curse magic stating that it works, insofar as it "...relieved the injured party's feelings, at least something had been done. " Curse Tablets and Binding Spells, at 23. As Gager says , "of course, we need not assume that they worked in the same way that the participants believed", thus staying within the atheistic/materialistic mindset despite being somewhat more sympathetic. Curse Tablets and Binding Spells, at 23. Ultimately, magic and astrology do not "work" ie there is no spiritual causality and this from a sympathetic academic source. Therefore, when we as practitioners read an academic source on astrology or magic we are not only getting at best the "objective" that is to say outside view, without the corresponding view from actual practitioners, but we are getting information from a source that is required to be officially hostile even to the existence of magic and astrology, let alone hostile to their practice. Thus academic sources need to be used very, very carefully by the magical or astrological practitioner. My recommendation is that they be used only for the initial orientation within an area and for historical background. Despite the high prestige of academic writing and the subsequent attraction for us, they are the equivalent of trying to learn to perform the Lakota Sun Dance by reading only the writings of 19th century journalists and anthropologists, while refusing to speak to or read anything by a Native American on the subject. Perish the thought, where is your objectivity! Now, I know that this is a somewhat unpopular view, but again, if readers disagree, merely stating your personal opinion without further support doesn't get us anywhere. I have cited from a Ph.D professor of religion at Princeton Unversity, published by the Oxford University Press, about as academically credentialed as one can get. If one wishes to argue that academia is accepting of the reality and practice of magic, one will need to cite similarly to a peer reviewed academic journal or a credentialed academic publishing in a university press. Mere, unsupported personal opinion isn't going to make it! Question: How can I do astrology and magic when I'm so busy? Why do I need to practice? Answer: Well, this is like asking, "how can I play the piano, when I am too busy to practice?" You achieve what you put your time, energy and effort to. Modern culture is very adept at sucking up all your time, between work and family, there is no time for other pursuits. Yes, it would be nice if we could just read a book or buy something, certainly buying things is what we are trained to do, but this just isn't going to be sufficient if one wishes to follow this particular path. Now, as the Prophet Mohammed said (PBUH) "There are as many paths as there are human souls." So holistic understanding or gnosis can be achieved in other ways. I just don't know any that you can do without any time or energy. I don't have children and I have had to make a trade off between my time and my income, so that I have at least a little time to follow spiritual pursuits. I have been lucky to be able to work as an astrologer, so that I am constantly practicing at a high level and earning some money, though far less than I could as an attorney. For most of us, the choice is already made, we have our lives and it is only with the greatest effort that we can change their course. Perhaps we will have time later, perhaps we have time now, and perhaps we will never have time. Ora and labore, ora and labore! Work and pray! Question: Having begun to study traditional natal astrology I have learned that if something is not indicated in your natal chart then you will not obtain it. But I don't understand if I'm not "supposed" to have something how can magic help me get it? Answer: Well, the problem is getting stuck between the Modern view that everything is Free Will and a rigidly deterministic view that everything is written in stone and Fated. For example, a traditional natal delineation is not going to say, "You will receive $1,234,769.33 over the course of your life" it is going to say, "well you will generally have a middle class income with some big ups and downs" Thus you will never be Bill Gates rich. On the other hand think of a poker game. The expert can use the cards that are dealt him much better than the novice with the same cards. Choice, but limited by the circumstances. Question: I believe that magic works but according to the law of Karma, if we deserve something it is given to us - in a way, we have already "paid" for it with being "good". And if we do not deserve it we don't receive it, for we have to pay for it first. And if we try to take something by force/magic doesn't it mean that we'll have to pay for it in present or future lives? Answer: If one thinks in terms of karma (a good model, but not the only one) then everything you do, willed or not, deserved or not, ties you further into into Samsara, the wheel of life, death and rebirth. Even sattvic and good actions do so. Just sitting back passively does so. It is just that good actions get you a better rebirth and bad actions a bad one. Only gnosis saves you from the cycle of death and rebirth, not good works or faith or following some doctrine or set of rules. That there is something inherently shady about magic is due to its dislike by organized religion, by the official "masters" of the spiritual. They are however, in the words of the Gospel of Thomas, dry canals, "The Pharisees and scribes have taken the keys of knowledge (gnosis) and hidden them. They themselves have not entered, nor have they allowed to enter those who wish to." Magic is a method of working with the spiritual realm. It is a source of power and can be dangerous, but so is electricity. If wiring up a circuit box makes you nervous don't be an electrician! 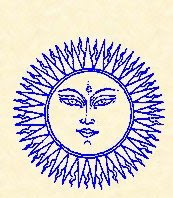 Traditional astrology has four main branches: horary, electional, natal and mundane. The first of these branches to revive was horary and we have had almost thirty years of serious contemporary practice of traditional horary astrology with a relatively large number of practitioners. Horary is also fairly obvious to judge your success at, either you get the prediction right or not. Ramesey on marriage, Astrologia Restaurata at 175-7. This leads to circumstances where 20-30 separate factors are listed for an election. Occasionally we will get sources saying, "Well if you can't get X, then do Y" but the impression that is left is that somehow we should be getting 20 chosen factors in an election and that there should not be a single negative factor in any election. Certainly this is the newbie view. I am constantly getting e-mails or posts nitpicking elections. There seems to be an almost orgasmic pleasure in pointing out the "errors" of others, particularly under the passive-aggressive posture of "just helping". The antidote is simple. Just ask the nitpicker to suggest an alternative! Their actual suggested elections are invariably abysmally inferior. Elections are easy to criticize because Warnock's first rule of electional astrology is NO ELECTION IS PERFECT!!!!! This really is the key to electional astrology. We must use our judgment and pick the best combination of factors possible within the time, date and place range given to us. The best may be simply mediocre, but we can avoid the truly awful times of which there are always a plethora. Normally we can control about 3-4 factors in an electional chart. This means that if we attempt to add in natal factors the election itself inevitably suffers. Still a decade of doing electional astrology professionally has taught me some tricks of the trade. One of the most important is use all the possible variations of favorable astrological conditions. What do I mean by favorable astrological conditions? Above all this is when planets, particularly multiple planets are dignified. The more dignified planets, the more raw materials you have for elections. The icing on the cake is when you have multiple dignified planets and add in applying positive aspects. So a Venus/Mars pair up is very useful! Immediately, we can see that this would be good for marriage, except that 11:43 pm is obviously not a good time. How about 11:43 am on January 5? We just flip Mars for Venus ruling the 1st and 7th houses? No, because we have Moon square Mercury. How about 11:43 am January 6. Yes! Venus, Mars, Moon exalted and unafflicted. Venus sextile Mars, ruling the 1st and 7th houses. Great marriage election! Ok, how about trying for a business election? Well, in that case we really need the 2nd for profit and the 10th for fame and marketing. We can do this in New York City, on January 5, 2009 at 11:19 pm EST. There Libra rises, Scorpio is on the 2nd and Cancer on the 10th, so Venus rules the business and is exalted, Mars rules the profit and is exalted and the Moon rules fame and marketing and is exalted. Venus sextiles Mars, the business gets the money and the Moon trines Mars, the business gets great publicity! Tight time range of 11:19-11:33 pm EST as then the Moon separates from Mars. Not a huge problem, still a great election, but Moon trines Mars is optimal. So, very interesting! We can find all sorts of uses for optimal conditions. Watch for them carefully! "So, one major project this year was to acquire, attune, and explore the powers of a full toolkit of astrological talismans. I am now wearing *twelve* such talismans on a single silver chain. This is really, really powerful. The sensation is incredible. Beyond this, over the past year, I've created about two dozen other (non wearable) talismans from clay, wood, wax, parchment, and other substances. The hard work (the elections) were almost entirely those of Chris Warnock, but the rituals were still frequently strenuous and potent. And these are pretty awesome too. But I am mostly giddy about the ones I am wearing. The final rituals (for the pendant attunements) began two days ago, and were among the most terrifying and exciting rituals I've performed in a while. Almost immediately, a sudden wild wind began to blow outside like a switched had flipped, doors and windows rattled throughout the house, strange noises seemed to echo from the shadows which almost seemed like voices, something heavy and muscular slammed against the window of my ritual room as if trying to get in-- and then made unnatural growling sounds through the glass for several minutes. I'm three floors up. A sense of cold and terror began to saturate the ritual room, and it took a lot of willpower to keep my focus on the ritual and stay calm. I *live* for stuff like that. * These talismans do not operate quite like other magical objects. It is almost as if they are transmitting power on a different frequency, and it took me a while to adjust and detect any power coming from them. I noticed the effects on the world around me much sooner than sensing the power. Chris believes that astrological talismans use cosmic/macrocosmic power which is different from most other forms of magic, as they use personal/microcosmic power as fuel. I think there may be something to this notion. The talismans really do have amazing effects. * The number of talismans worn simultaneously is significant in terms of numerology as well as quantity. Wearing twelve talismans is much more than the sum, in part because twelve is a perfect number-- especially in the context of astrology. Seven would also be a pretty great number. When worn on a silver chain, the talismans operate as a unit. * Circular talismans seem to be stronger than square or oval talismans. There is some written material supporting this, somewhere or other, suggesting that this has to do with the shape of the soul being circular or spherical and that these also are perfect shapes. Nevertheless, I do notice a strong difference. * The most important talismans to wear, arguably, are the Lunar ones. Since we live in the SubLunar Realm, hers is the power which has the most immediate influence on us. All other stellar influence must pass through the Moon in order to effect change on Earth. She is the Mediatrix. She is like a lens or prism or mirror through which all the other starlight must pass. But there is another reason why this is interesting; strong Lunar talismans act as *huge* magic amplifiers. Also; those of you who get spooked by void of course Moon, strong Lunar talismans punch through them like they almost weren't there. * Multiple talismans of a similar type seem to accumulate their effects. It isn't that the strongest one outshines the rest; they team up. I have five talismans of one particular planet, and the effect is really quite dramatic. When I had only two, it was much weaker. * Astrological talismans are enhanced dramatically if fed hoodoo-style dressing oils periodically much like a mojo bag. This is not a huge surprise, but the effects blew me away on a couple of occasions. (And it's good to wear an undershirt, because the oil stains everything.)"